In the age of the internet, it can be hard to tell a genuine feud apart from a carefully orchestrated public relations stunt. Many of the elements of a rivalry — the witty rejoinders and the spectacle of a disintegrating relationship — make it ideal fodder for a social media spectacular. Yet, as the rivalries on this list illustrate, there&apos;s something special about true rivalries — be it the chemistry, celebrity, or sheer antagonism — that makes them unique. Be it literary reputation or bodily well-being, the most famous literary feuds have had something serious at stake. Together, Arthur Rimbaud and Paul Verlaine produced some of the most innovative poetry of the 20th century. Although Rimbaud&apos;s relationship to the older poet was undoubtedly one of mutual inspiration and encouragement, it was also marked by jealousy and reciprocal destruction. By the time the couple convened in Brussels, several years into their troubled relationship, the impossibility of their arrangement was obvious, and Verlaine shot Rimbaud through the wrist when Rimbaud refused to abandon his plan of returning to Paris. The altercation may not have caused Rimbaud to abruptly abandon poetry, but abandon it he did, renouncing his would-be anarchist&apos;s life at the age of 20 to become a trader in colonial Africa. Ernest Hemingway was notoriously unkind to F. Scott Fitzgerald. Though initially close friends, the pair was eventually torn apart by a toxic combination of jealousy, alcohol, and money. In A Moveable Feast, Hemingway spoke openly of Fitzgerald&apos;s marital difficulties and artistic struggles, and publicly called Fitzgerald a moaner and a sissy. The relationship falls short of a genuine rivalry, however, because rather than sparking a lively response, Hemingway&apos;s comments merely made Fitzgerald sad. "Please lay off me in print. It cost me a night&apos;s sleep," he urged Hemingway. Never one to shy away from conflict, Hemingway sparred more successfully with another literary giant. After William Faulkner said of Hemingway that "he has never been known to use a word that might send a reader to the dictionary," Hemingway responded with trademark bluntness: "Poor Faulkner. Does he really think big emotions come from big words?" While famous writers have quarreled for different reasons, Gabriel García Márquez and Mario Vargas Llosa, for instance, fell out after García Márquez allegedly advised Vargas Llosa&apos;s wife to divorce her husband after he&apos;d started an affair with another woman. A genuine literary rivalry is about words. For contrast, take the example of Vladimir Nabokov and Edmund Wilson, close friends who broke off contact for decades over Nabokov&apos;s translation of Pushkin&apos;s Eugene Onegin. In a review, Wilson claimed that the translation was "uneven" and "banal," criticizing Nabokov&apos;s overwrought and occasionally inaccurate vocabulary. Nabokov fired back that Wilson was a "commonsensical, artless, average reader with a natural vocabulary of, say six hundred basic words." Nabokov isn&apos;t the only famous Russian to be embroiled in a drawn-out rivalry. Despite shared aesthetic and political ideals, Fyodor Dostoevsky, Leo Tolstoy, and Ivan Turgenev, quarreled for years, with no less at stake, one could argue, than literary greatness. Although the contest worked itself out through literature — Dostoevsky satirized Turgenev in his novel The Possessed — it would reach a much more material climax. In 1861, Tolstoy challenged Turgenev to a duel. Many a famous rivalry started as a close friendship, and the falling-out between William Wordsworth and Samuel Taylor Coleridge is no exception. Encountering one another first through each other&apos;s work, they built a friendship commenting on each other&apos;s poetry and drawing inspiration from their shared ambition. As Wordsworth&apos;s stardom rose, so too did his ambition, to the extent that upon publication of the Lyrical Ballads, a collaborative effort by the two founders of the Romantic Age in English literature, Wordsworth insisted that his be the only name on the title page. Though Coleridge apparently agreed, he was humiliated by the arrangement, and wrote to William Godwin that "by shewing to him what true poetry was," Wordsworth "made him know, that he himself was no poet." Success is no guarantee that you won&apos;t feel the need to keep a close eye on your upstart sibling. 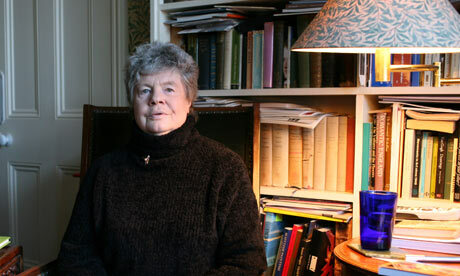 Despite having 18 major awards, 4 royal titles, 57 published books, and a dozen honorary doctorates between them, sisters A.S. Byatt and Margaret Drabble, who are now in their 70s, have spent their long careers in an atmosphere of competition and covert jibes. It wasn&apos;t just accolades and book sales that resulted in rivalry; the sisters showed that even shared memories can be a source of jealousy and conflict. When Byatt published her novel The Game, depicting the unhappy relationship between a set of siblings, she sent a copy to her sister with a note. "With love," it said, and, "I think I owe you an apology." In a characteristically understated assessment of their relationship, Drabble remarked, "It&apos;s just unfortunate we were interested in the same things."